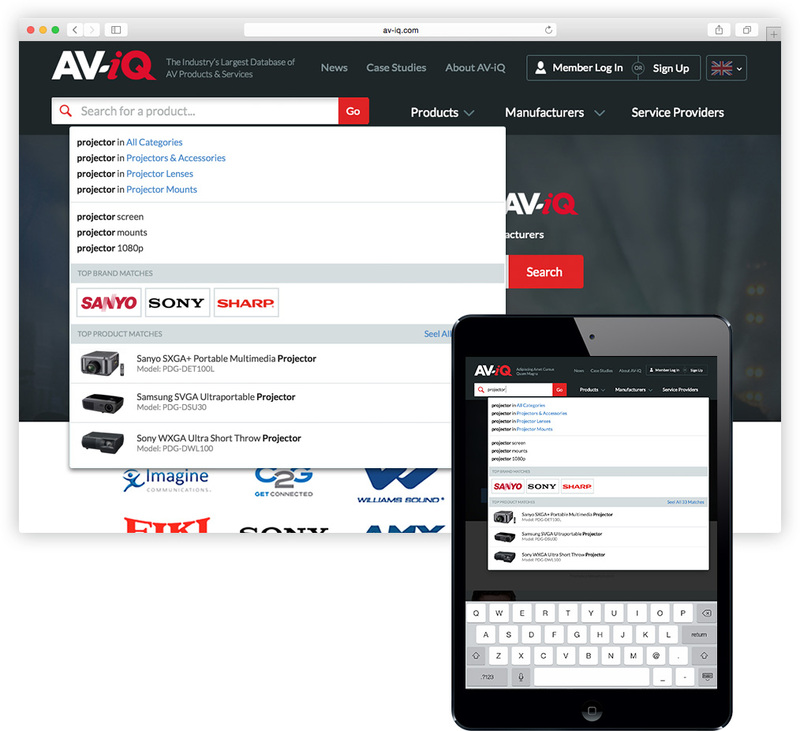 AV-iQ is the largest, most comprehensive database of audio/video product information. 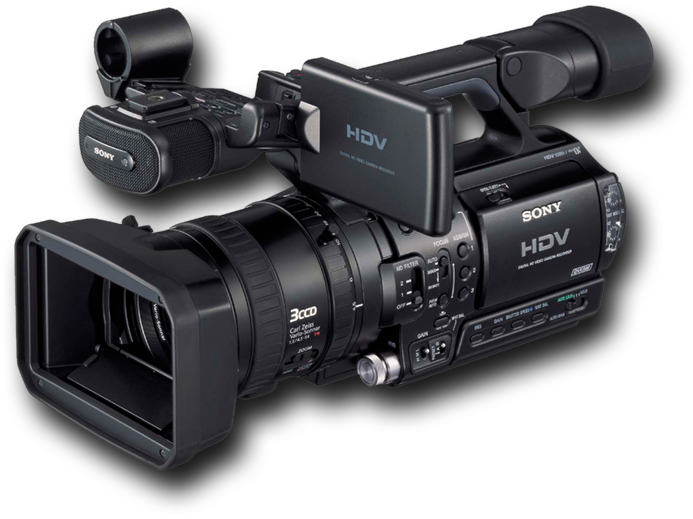 AV professionals have come to trust AV-iQ as the fastest and best way to begin their projects. 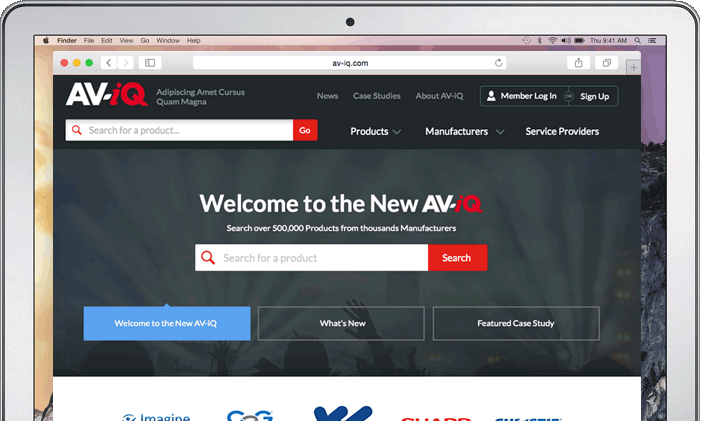 NewBay Media (parent company of AV-iQ) asked us to help completely redesign their website and give their brand a modern, yet familiar facelift. Our first order of business was to refresh the AV-iQ brand. Because their brand is recognizable throughout the industry, the change had to be subtle yet reflect a more modern look. Industry professionals use the latest and greatest technology. 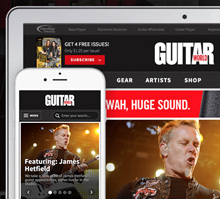 Creating a new responsive website design allows visitors to access the site from more devices. 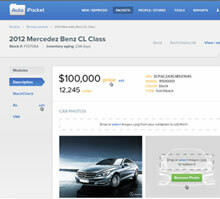 One of the primary goals of the site was to improve the search experience. We brought more emphasis to the search feature as well as improved how the results were displayed. AV-iQ offers a unique feature called My-iQ. 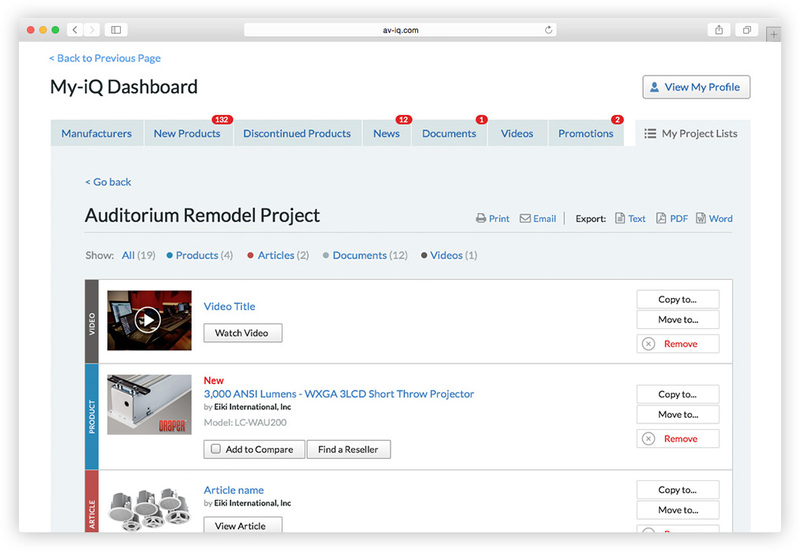 With My-iQ a visitor can build and manage project lists which can contain products, articles, documents and videos. We made it easy for them to setup and manage. 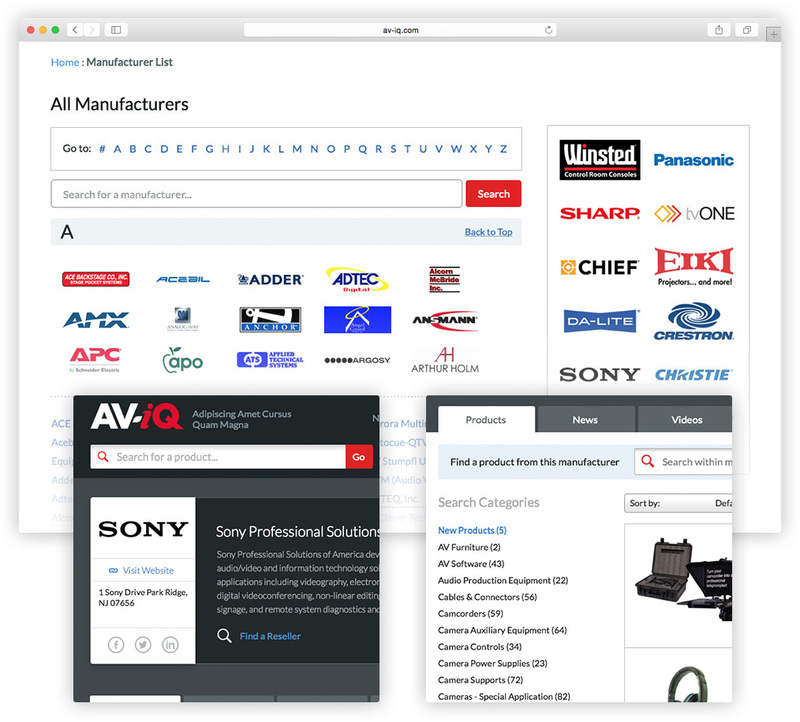 With hundreds of manufacturers on AV-iQ we focused on creating an organized and easy-to-use listing page with smart and intuitive search tools to find the brand you're looking for easily. 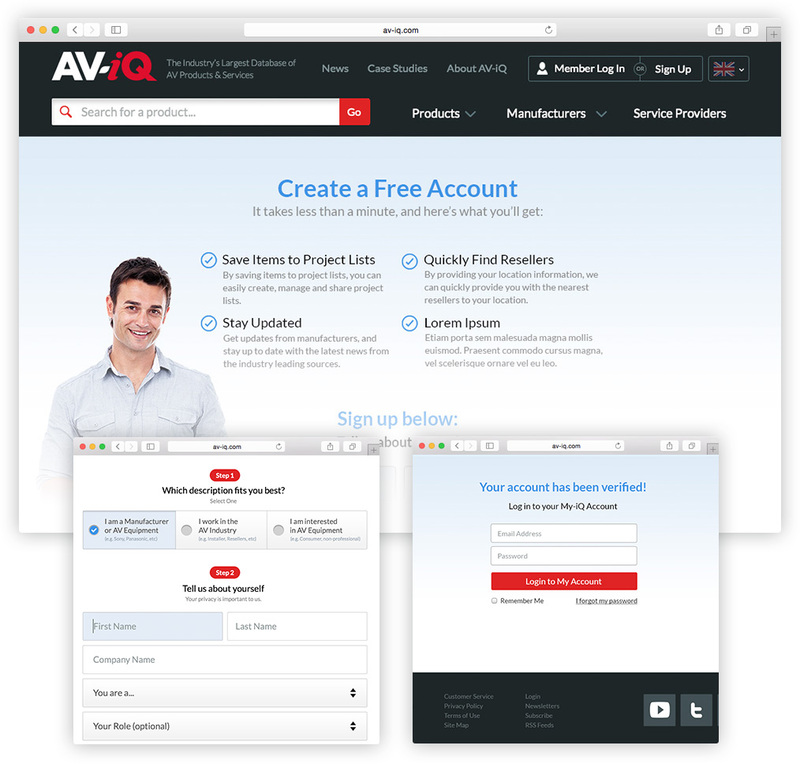 Distinct landing pages for each brand in the AV-iQ database provides the visitor with a comfortable and recognizable experience. Visitors can find any type of product from any manufacturer by using the category tabs and filters within the landing page. The product detail page needed to be easily scannable for product information. We also made it easy for them to contact the manufacturer or find a reseller. We made comparing products simple and fast. Within the Product Page a user can quickly add products to compare, or add products to a project list within their My-iQ Account. 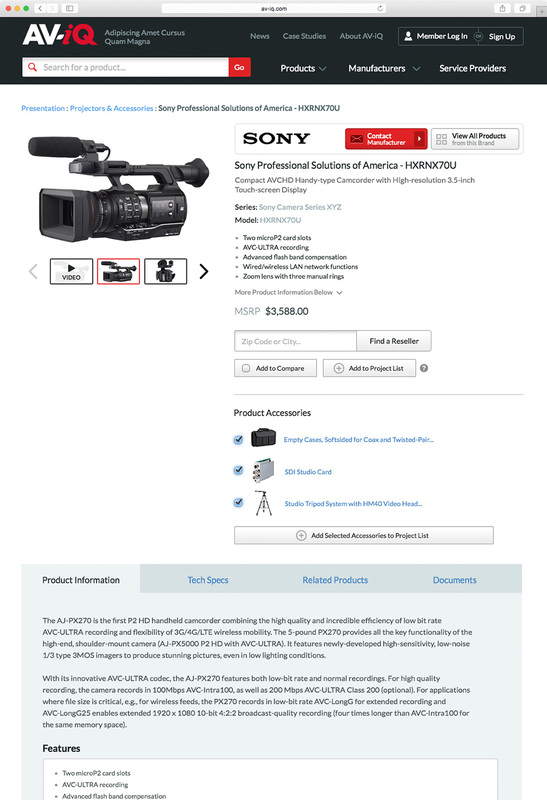 We made it easy to view commonly grouped products in the “Product Accessories” section. 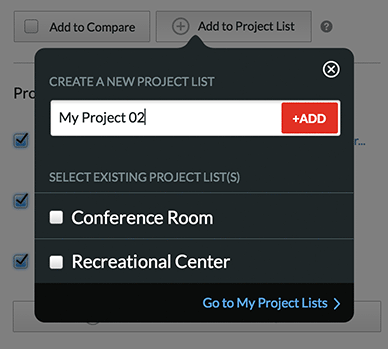 You can compare and add to project list. 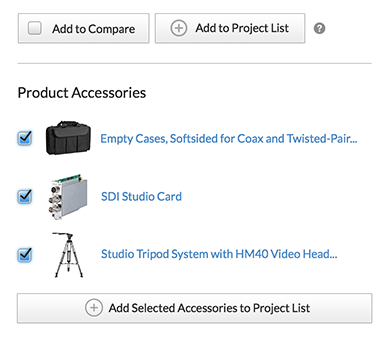 Adding products and accessories to your My-iQ Project Lists is fast and easy. You can even do it directly from the product page. To find out more about AV-iQ click here.